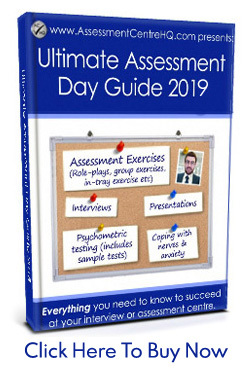 This guide will tell you what to expect and how to succeed at the KPMG assessment centre, one of the UK’s most difficult recruitment processes. Note that different employers use different test suppliers. KPMG use Cubiks tests. You can practice them here. KPMG are an enormous company. As one of the world’s largest companies offering professional advisory, tax and audit services, KPMG employs more than 12,000 staff and partners in the United Kingdom alone. KPMG provides guidance for clients by identifying growth opportunities, helping improve cash management and assuring regulatory compliance. 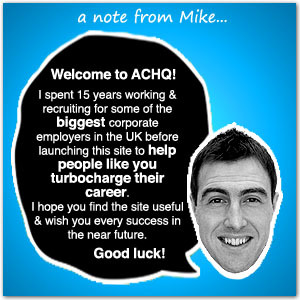 KPMG are perceived as being a great company to work for, so competition is fierce. The company’s stated commitment to providing an environment in which people have the freedom to grow and reach their full potential continues to attract many applicants year on year. The path to employment at KPMG encompasses numerous steps, starting with an difficult online application. 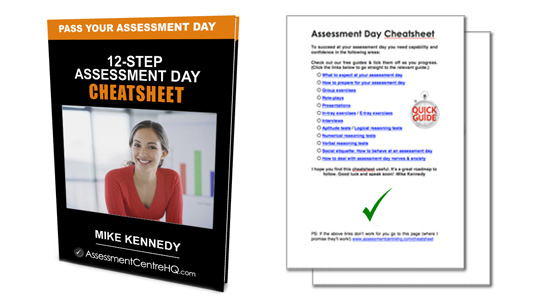 Even so, the most testing phase for many is the day spent at the KPMG assessment centre. This is the last step prior to an applicant’s final interview. Success at the KPMG assessment centre typically requires lots of preparation and study. It is very important that you can demonstrate you have an interest in KPMG’s business, their clients and the market they operate in. It’s essential that you spend some time researching. Action point: Download KPMG’s annual report and spend an afternoon digesting it and making notes on the key points. (You can find it here.) Reference your findings in your interview. It will mark you out as someone with initiative, an eye for detail and good commercial acumen. Candidates for employment face an intensive series of tests, including those offered during the KPMG assessment centre assessment day, before reaching the final interview. The first two tests are taken online and you must score well on these if you are to have the opportunity to attend the KPMG assessment centre. (You can practice them here.) You will have 20 minutes to complete each test. These online tests are quite unlike the exercises you will encounter at the KPMG assessment centre itself. The first tests your numerical ability and the second tests your verbal skills. The numerical reasoning test consists of 24 questions covering six sets of data. You must analyse the data, which is presented in the form of percentages, graphs and charts. There are four questions per data set. Each question presents you with five choices, and you must select the correct answer. The verbal reasoning test presents you with texts containing a variety of facts. You must read each text carefully to understand the information. The test consists of 10 texts with four questions on each. The responses are formatted in the true, false or cannot determine from the information style. 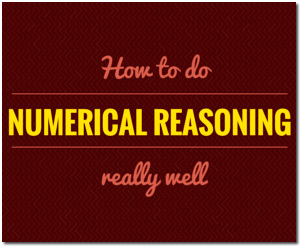 Read our numerical reasoning and verbal reasoning guides to learn how to ace these tests. What happens if I pass KPMG’s online tests? If the telephone interview goes well, you will be invited to attend the KPMG assessment centre. Action point: During your prep time be sure to read some KPMG case studies to get a flavour of their work processes, aims and even the language and terminology they use. Reflect this back at them during your assessment centre. 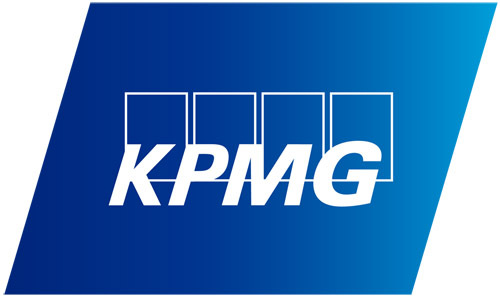 You can find KPMG case studies here. If you are invited to the KPMG assessment centre for immersive assessment, expect to spend the entire day participating in various exercises. Brace yourself, it’ll be a long and tough day! 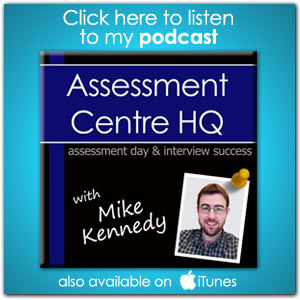 Read our article ‘How To Prepare For An Assessment Centre‘, it’s one of our most popular posts and will help you enormously. All exercises at the KPMG assessment centre will revolve around a fictional organization and its personnel. During the exercises at the KPMG assessment centre, you will be assessed on how well your abilities match the KPMG core values and key competencies. Very. Along with the core values, the key competencies are the traits and abilities that KPMG wants to see in their employees and as such candidates participating in activities at the KPMG assessment centre must exhibit them. Although many factors determine your assessment scores, candidates attending the KPMG assessment centre who demonstrate the greatest number of key competencies and core values tend to receive the highest scores. While the KPMG assessment centre exercises are famously tough, they do give you a very full opportunity to demonstrate how well you will fit with the company’s identity. Seize your chance and project these values and competencies at the assessors in spades! You must analyse every one of the items to determine the proper priority and handling for each. Imagine that you have been on holiday and have recently returned to your office; you would no doubt find a great many messages awaiting you, and you must determine the order in which to deal with each. Sounds scary? Don’t worry, practise makes perfect. You can practice the KPMG Virtual Office exercise here. Ok, onto the next test! The KPMG assessment centre analysis exercise is also one hour in length. It requires you to gather a great deal of information quickly and then use the data to write an original report that should be 1,500 words long or approximately three typed pages. In this exercise, the information given to you by the KPMG assessment centre all relates to one fictitious client. You must analyse the information to determine the client’s current problems. You must also determine what actions would help the client’s operation garner greater profits and operate more effectively. Your report must include the specific issues and your detailed recommendations, and you must complete the report at the KPMG assessment centre within the allotted time. Remember, the KPMG assessors will be searching your report for evidence of the key competencies, so you want to be sure that your write-up demonstrates that you possess them. Role-play 1: The bulk of your day in the KPMG assessment centre will be spent in role-playing exercises. These exercises consist of two simulated meetings in which you must demonstrate the key competencies and core values of KPMG. The first meeting simulation at the KPMG assessment centre is between you and a client, and the second meeting is between you and your department manager. In the first scenario presented by the KPMG assessment centre, you conducted business with the prospective client while you were with a previous employer. For some reason, the relationship soured and the client retains some negative feelings about you, at least according to the scenario presented by the KPMG assessment centre. You must demonstrate your interpersonal skills to first rebuild a relationship with the client. You must convince the prospective client that your company and you are professional, have the solutions the client needs and are the best choice for his needs. Role-play 2: After your simulated meeting with the client, you move to the second KPMG assessment centre role-playing simulation. You will attend a meeting with an actor portraying your department manager. You must report the results you obtained in the meeting, but you must also detail what transpired and explain how you can move matters forward. This meeting is typically your last exercise at the KPMG assessment centre. In both meeting simulations at the KPMG assessment centre, you must make sure that none of your promises or solutions violate the core values of KPMG. You can find our role-play success guide here. Read it, it will help you a lot! During the interview, you want to reinforce that you possess the key competencies desired by KPMG and demonstrated by you at the KPMG assessment centre. Prior to the interview, study the list of key competencies and prepare sample interview answers that include them. Be prepared to answer a variety of questions about yourself, KPMG and business in general. The questions vary, but you can expect to be asked to state your career goals and explain why you want to work for KPMG. You may be asked to discuss a current event and its effect on businesses or the overall economy. The interviewer may ask you what you expect from KPMG while you are in training. Before your interview, prepare by thinking about the types of questions you may be asked. (You can find a decent list here.) 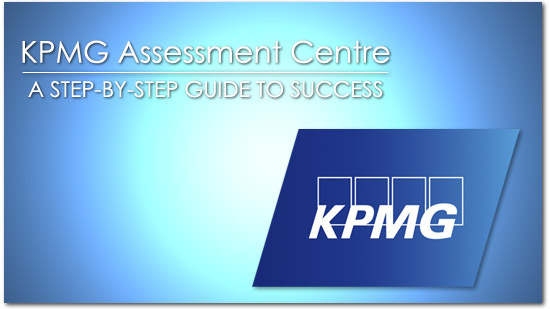 The exercises you completed at the KPMG assessment centre should have given you great insight into what to expect. Mentally and verbally rehearse your answers, making sure to include evidence of the key competencies. This interview is your final hurdle, but with proper preparation, you should be able to present yourself at your absolute best during both the KPMG assessment centre and interview. This Udemy course from Matthew Tambiah gets straight to the point. It teaches fast techniques to help candidates quickly solve the commercial problems posed in management consulting interviews and case studies. If you’re seeking a job with companies like KPMG, PWC or Deloitte, this one is for you. 1) The first half of the course teaches techniques to perform numerical calculations quickly and efficiently without using a calculator or spreadsheet (as required in case interviews). 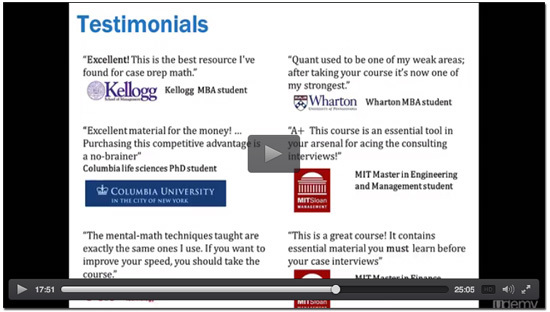 2) The second half of the course reviews the most common types of quantitative problems given in case study interviews. The course shows students the most efficient solution method for each problem type, and how to use the computational techniques taught in the first portion of the course to generate answers quickly and efficiently. The course highlights how to use the results of the quantitative analysis to generate insights and recommendations relevant to the overall case. All the example problems used in the course are derived from real case studies from leading management consulting firms including Deloitte, McKinsey, BCG, and Accenture. Do you want to learn more about psychometric testing, personality questionnaires, numerical reasoning and verbal reasoning? Maybe you’re worried about performing during a group exercise, a presentation, role-play exercise or want to know how to properly prepare for an interview? 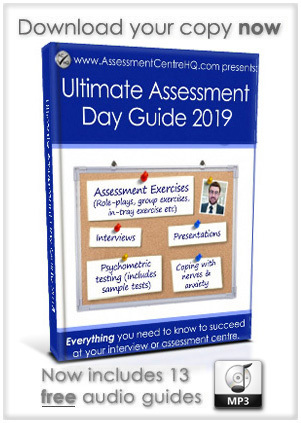 One of our most popular posts is “How To Prepare For Your Interview Or Assessment Centre” – it’s filled with tons of tried-and-tested advice and secret techniques to prepare you for the big day.